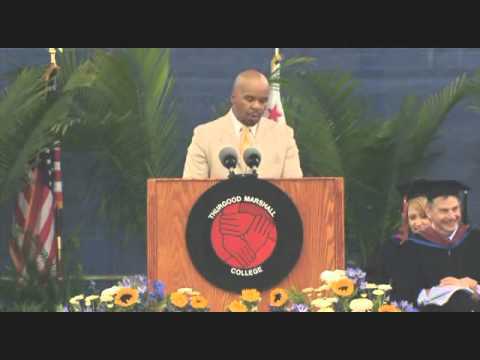 Although David Alan Grier has been known for his ability to create comedy and humor, the graduate of the Yale School of Drama has successfully made the diverse jump from theatre to television to film and still alternates between all three. Grier's television credits are abundant, from recent comedy specials such as "The Book of David" to starring in "DAG". He is currently co-starring with Bonnie Hunt in "Life With Bonnie" on ABC, but most audiences will recognize him as one of the principle cast members of the acclaimed television series "In Living Color" - where he helped to create some of that show's most memorable characters. Keeping his close comedic relationship with the Wayans' brothers, he co-starred with Damon Wayans in "Damon." Grier was born in Detroit, Michigan and currently resides in Los Angeles. When not in production on a series or film, he continues to travel the country on his comedy tour. 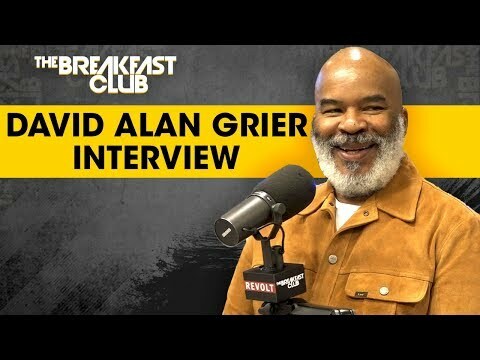 Although David Alan Grier has been known for his ability to create comedy and humor, the graduate of the Yale School of Drama has successfully made the diverse jump from theatre to television to film and still alternates between all three. Trained in Shakespeare at Yale, Grier began his professional career on Broadway as Jackie Robinson in "The First," for which he earned a Tony nomination in 1981. He then starred opposite Denzel Washington in "A Soldier's Play," and both actors continued their roles in the film version, A SOLDIER'S STORY. Grier starred on Broadway in "A Funny Thing Happened on the Way to the Forum." He has also performed at the New York Shakespeare Festival in productions of "Richard III" and "The Merry Wives of Windsor" at Central Park. Grier's television credits are abundant, from recent comedy specials such as "The Book of David" to starring in "DAG". He is currently co-starring with Bonnie Hunt in "Life With Bonnie" on ABC, but most audiences will recognize him as one of the principle cast members of the acclaimed television series "In Living Color" - where he helped to create some of that show's most memorable characters. Keeping his close comedic relationship with the Wayans' brothers, he co-starred with Damon Wayans in "Damon." He will next be seen in "TipToes" with Matthew McConaughey, Gary Oldman and Kate Beckinsale, and "The Woodsman" with Kevin Bacon, Benjamin Bratt, Mos Def and Eve. Grier was born in Detroit, Michigan and currently resides in Los Angeles. When not in production on a series or film, he continues to travel the country on his comedy tour.